A glimpse of India in black and white. 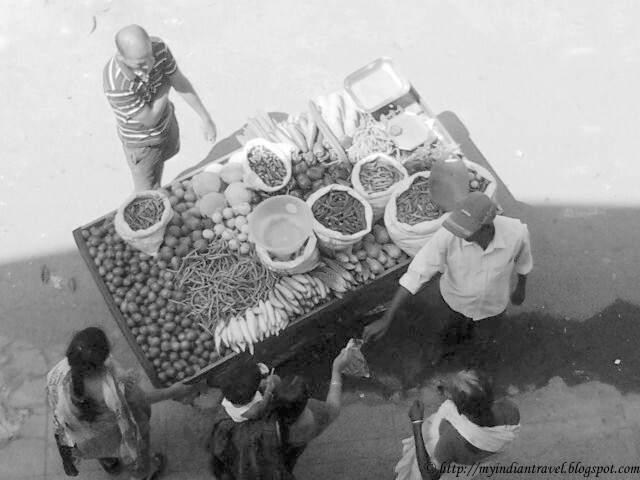 This picture is taken while vegetable vendor on his cart selling vegetables to interested customers. Another image at the same place in color. Fine photos. I like them both very much. Someday I wish there are hawkers here where I live so I don't need to drive to get my fresh produce. Colorful looks better. I love the color of fruits and vegetables, may be that's why. I definitely prefer the color one! Fresh produce looks so good (good enough to eat ;)))!). Also I remember when there was only black and white film and nobody would have thought to take a picture of the vegetable man! Wonderful perspectives. Your angle make them more impressive. Color puts the focus on the veggies, while the B&W lets us think about the people and speculate what's going on. I like both photos. For storytelling, the B&W by far. Nice comparison! But i like more the colorful image on vegetables! Both are different in color but same in greatness and unique !! They are the people who make India alive. 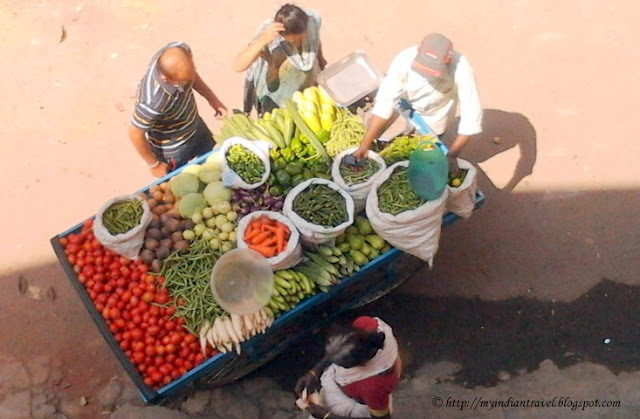 Fresh vegetables of daily needs and its shows real colours of India. The angle of take is very interesting.